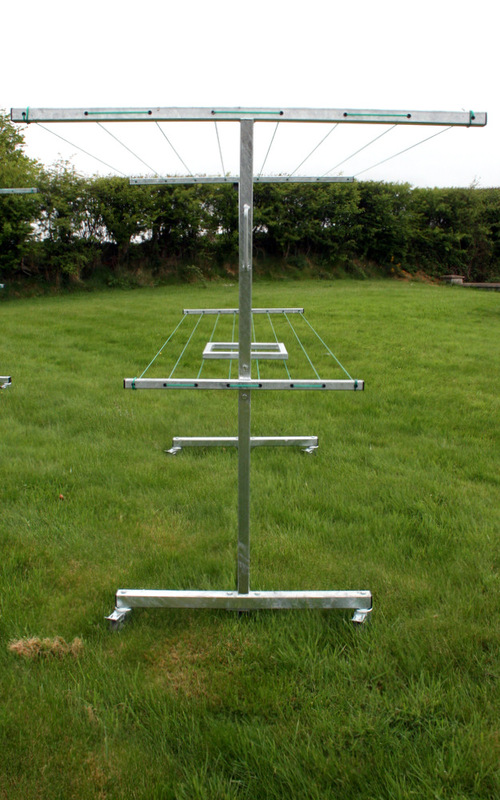 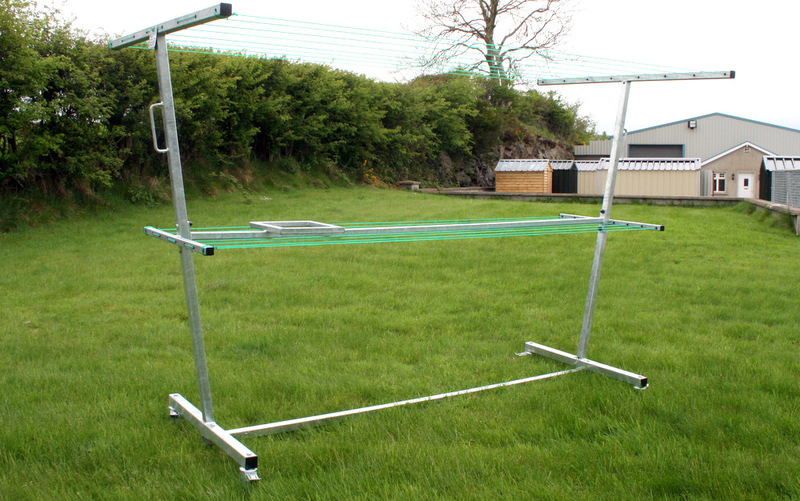 KP Engineering’s mobile clothes line is becoming more and more popular thoughout Ireland and the UK. 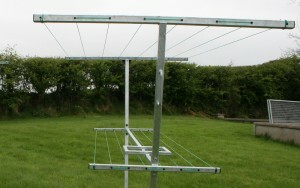 They are the ideal alternative to umbrella clothes lines which need to be strongly cemented in place. 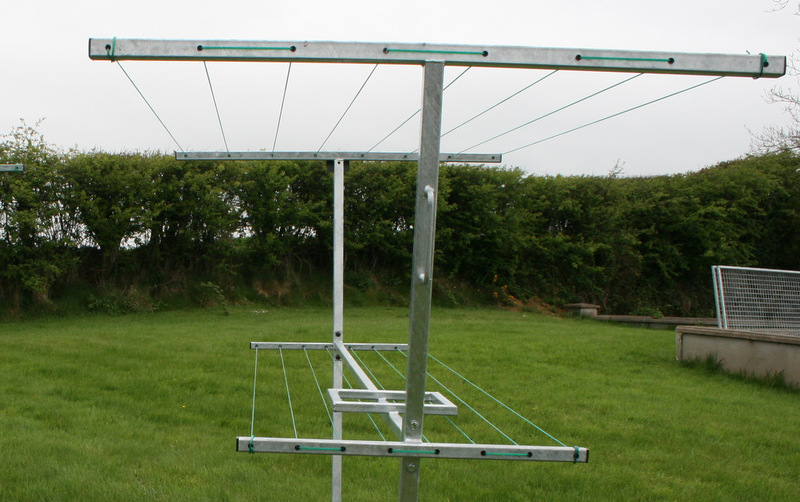 Our mobile clothes line is on four locking swivel wheels, meaning it can be moved around to best use the wind or sun. 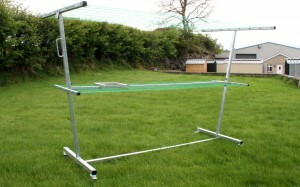 In addition our mobile clothes line has a platform which gives a base to rest your basket as you work with your laundry.